Boardwalk delicacies in America include seafood, funnel cake, ice cream, fudge and other treats. If you’re near the Jersey Shore, pork roll and frozen custard must be added to that list. When visiting Juhu Beach in Mumbai India it was exciting to discover their beach options. 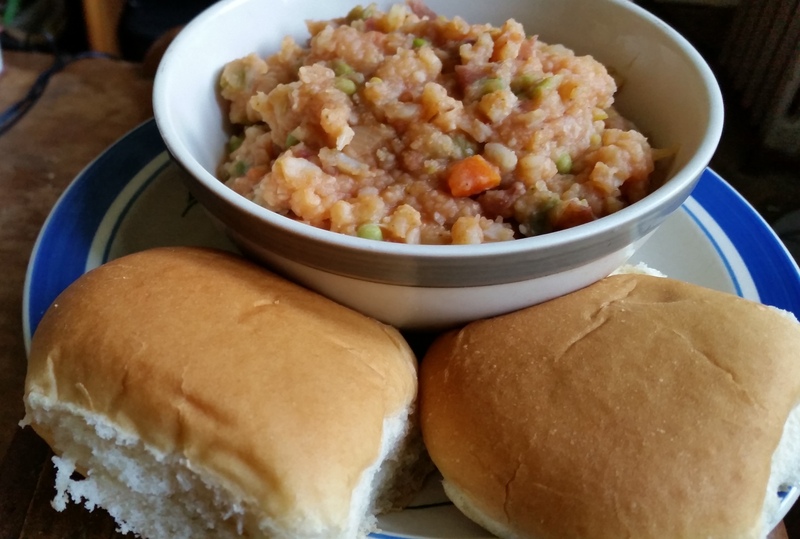 Most eye-catching was Pav Bhaji, Indian mashed veggies in spiced tomato gravy and served with buns. The food cart was right on the beach. It was heated on a giant tawa with the veg in the middle encircled by buns like pictured below. It’s a delicious warming dish that can be eaten as a snack or meal. 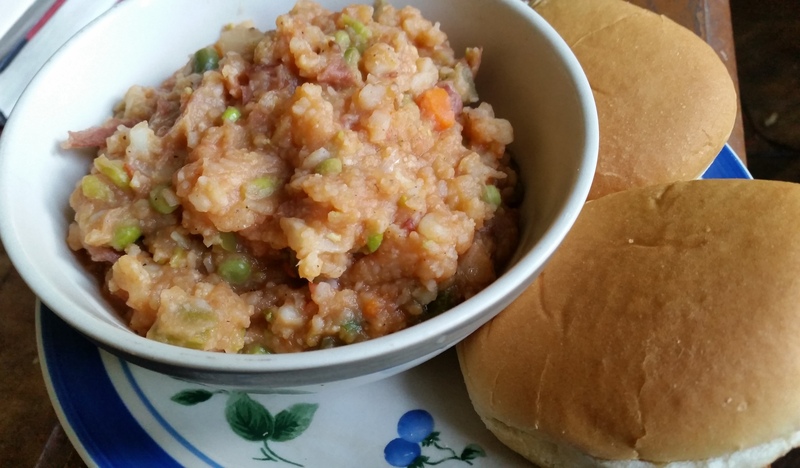 You could eat like a sloppy joe but most people tear off pieces and dip it. Some years back I hosted a small Bollywood night gathering and made it for friends. It’s easy but does take a bit of prep work (mostly chopping). As with many things Indian, several factors brought about the dish’s creation: The American Civil War, the Portuguese and indigenous entrepreneurship. Pav is derived from the Portuguese word Pao, meaning bread or roll. Prior to the Portuguese arriving most Indians ate unleavened breads such as rotis and chapatis. During the Civil War, Lincoln’s blockade of several ports stopped confederates from receiving cotton, driving prices up. One of the sources from which they were able to get cotton was India. These enterprising Indians kept the same hours as the Americans and someone needed to feed them, thus this street food was born. Supposedly, the dish was created using tomato, spices and leftover vegetables. Boil potatoes, cauliflower, beans, carrots and peas until tender. Drain out water. Mashed vegetables well. Heat a swab of butter in a pan. Once warmed deploy cumin seeds. Allow to sputter for a minute (it will start to get fragrant). Next caramelize onions for 5 minutes until they wilt and brown slightly. Now, add in bell pepper and cook for a couple of minutes. Add in turmeric, chili powder, cumin powder, garam masala, salt, pepper boiled veggies, crushed tomatoes and about a cup of water. Mix well. Cook on medium this until it thickens (5-10 minutes). Add in lime juice. Flavor should be a bit tangy and a bit spicy. Lastly, on a pan, toast buns with a bit of butter. Serve hot and enjoy on the beach or while watching Bollywood movies. ← Alcatraz: Come Because You Have No Choice, Stay for the Food.